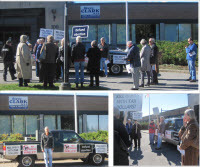 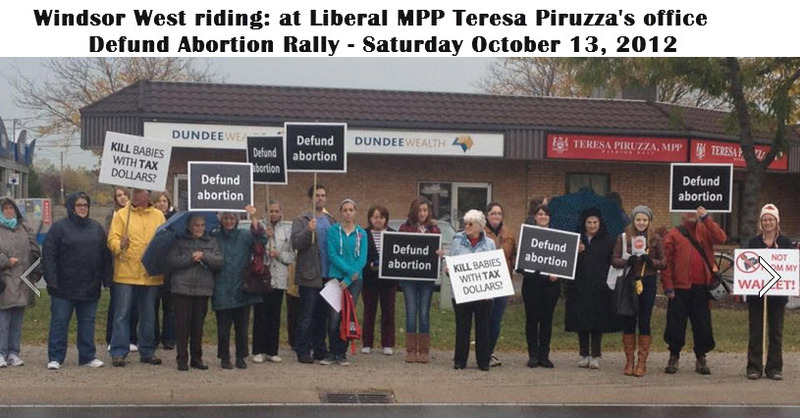 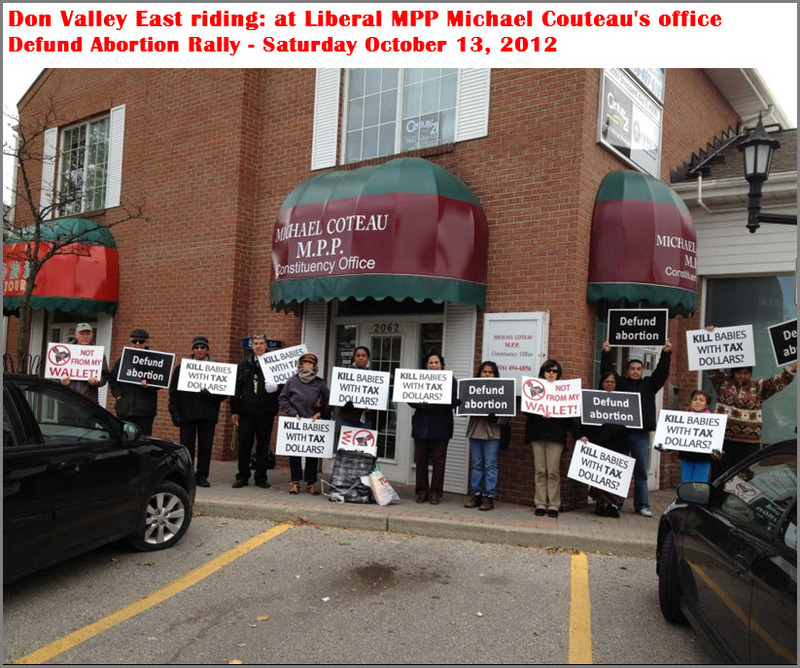 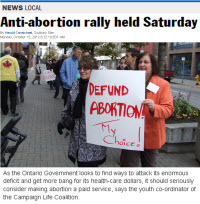 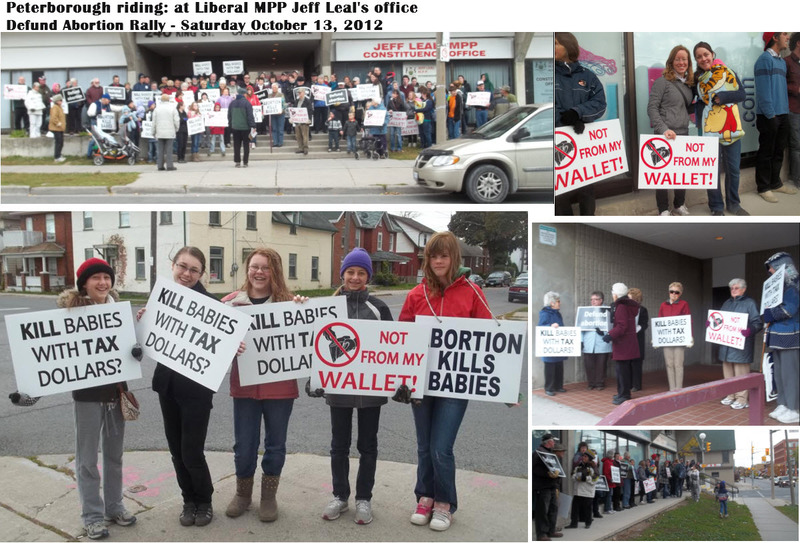 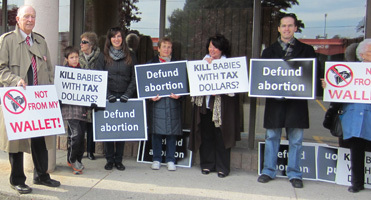 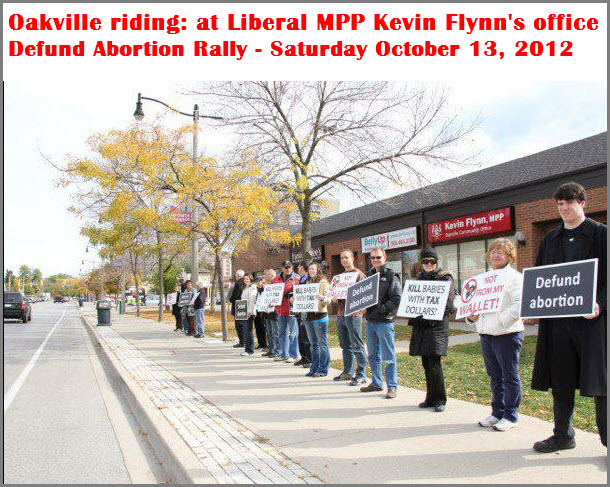 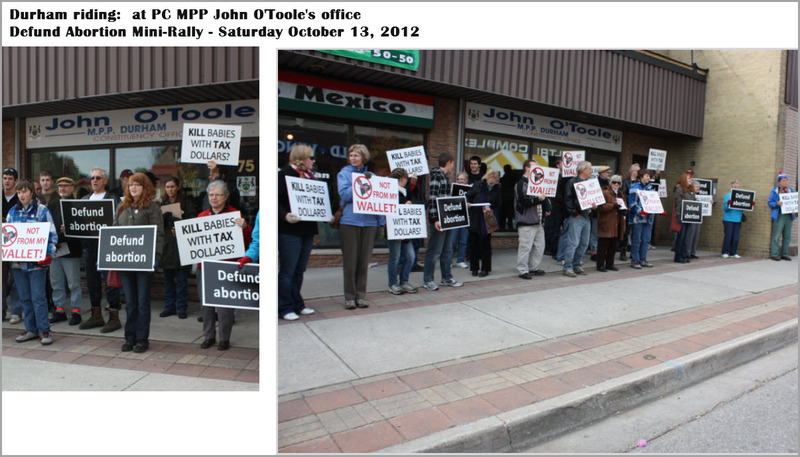 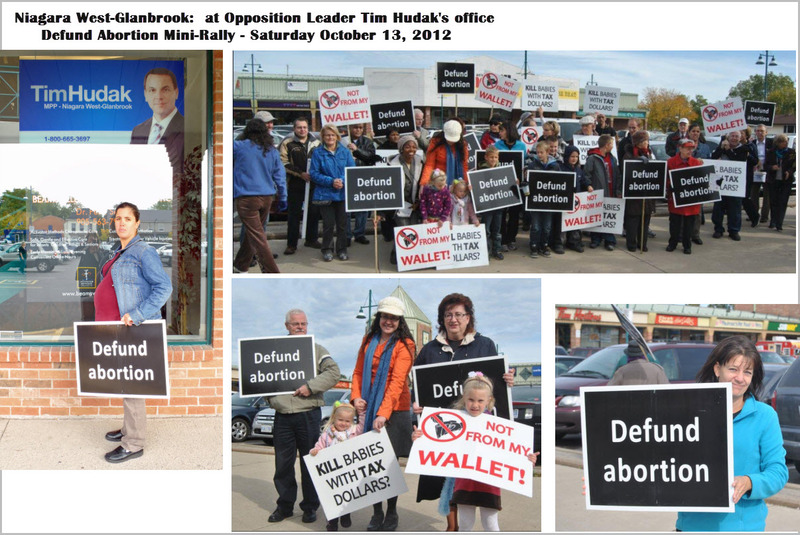 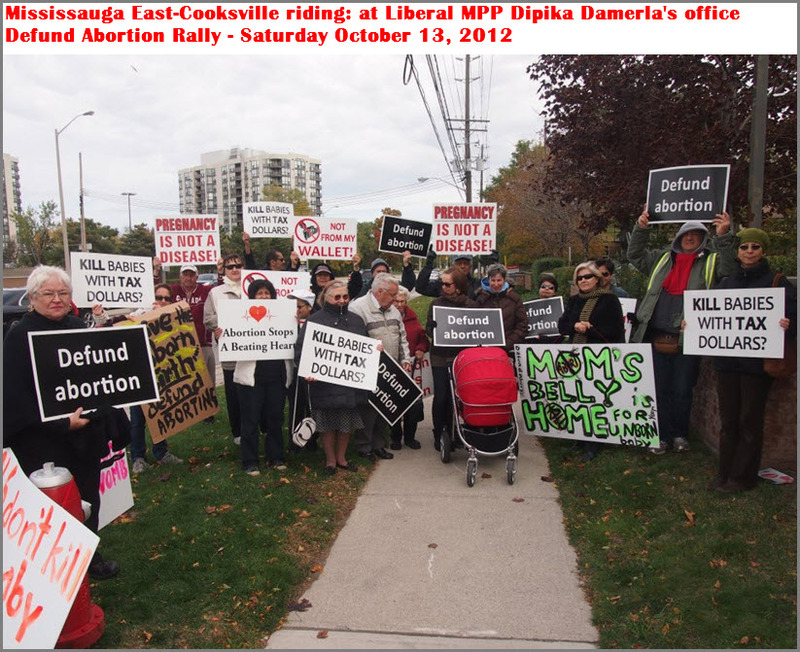 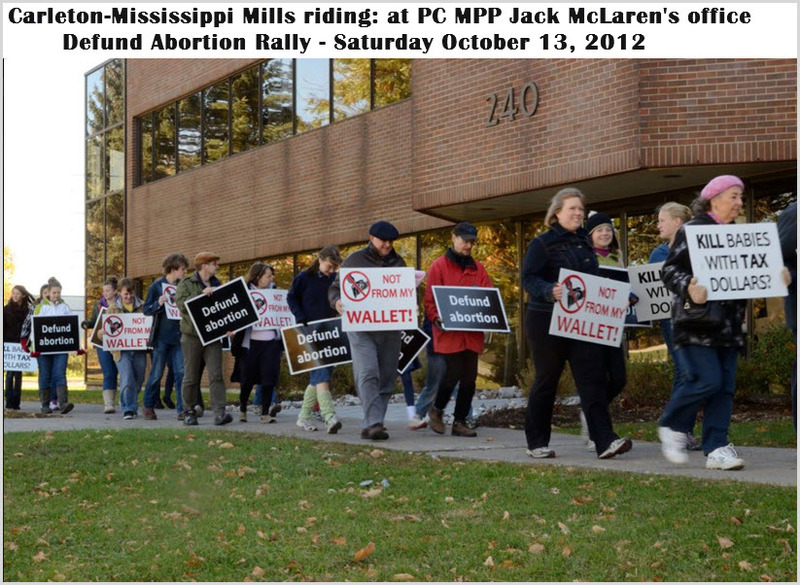 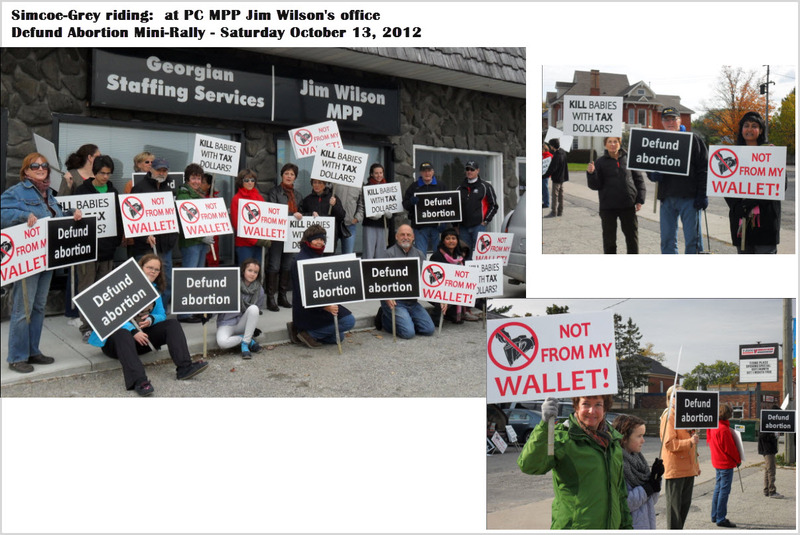 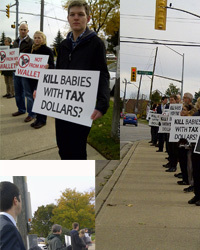 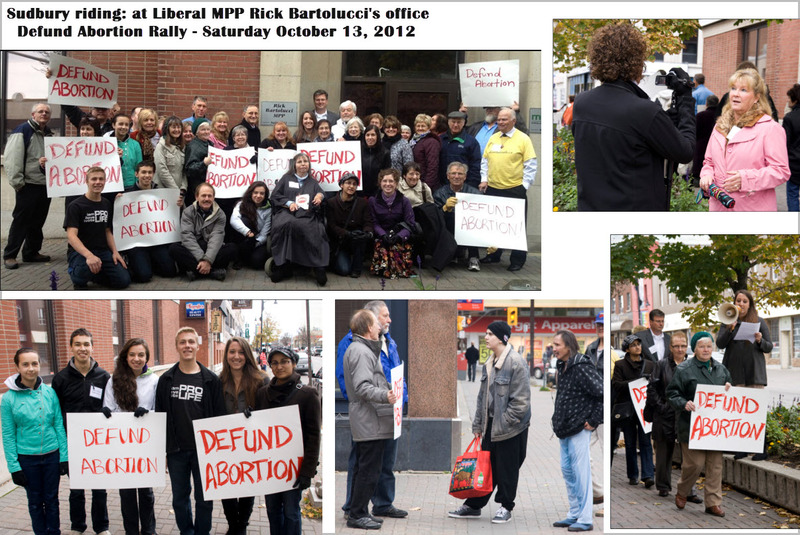 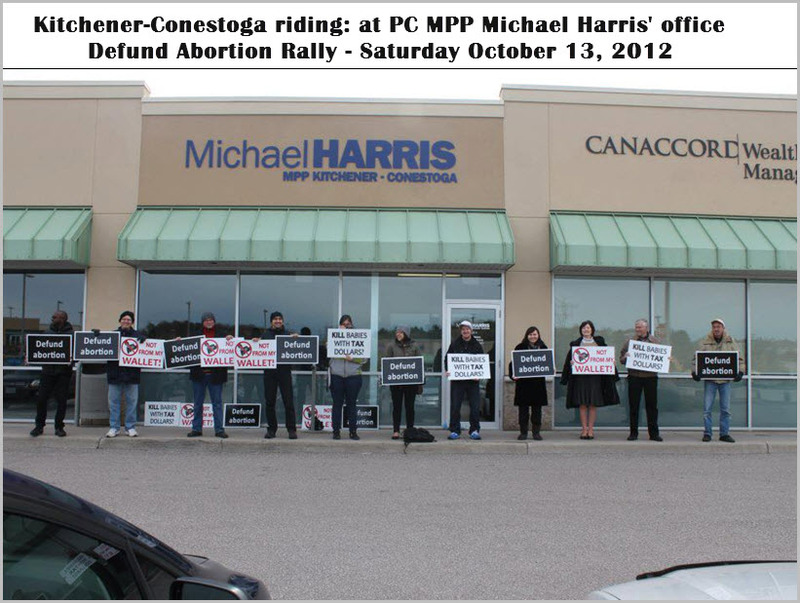 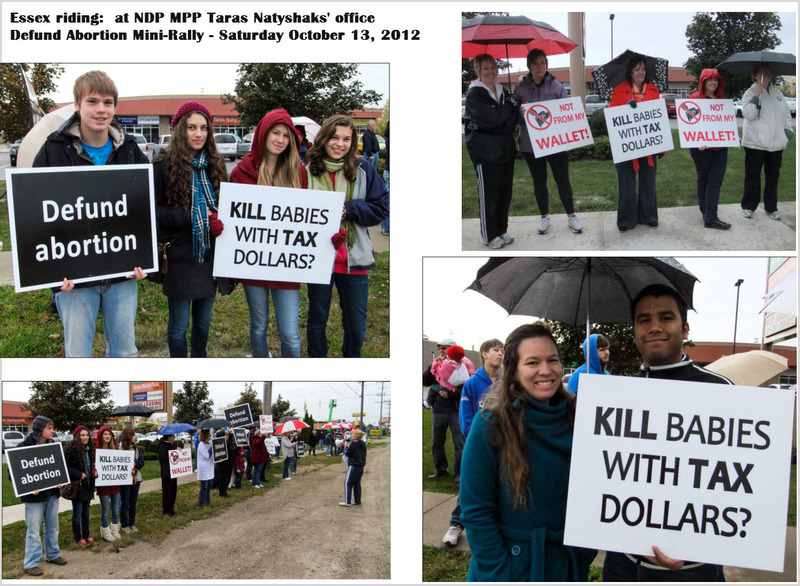 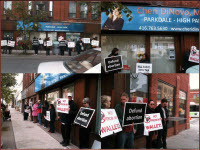 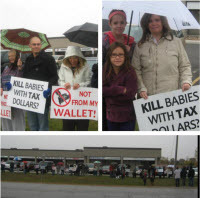 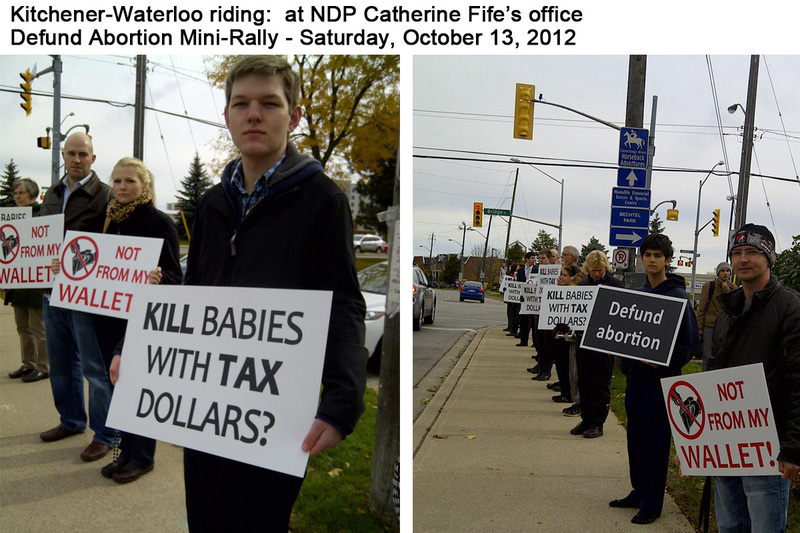 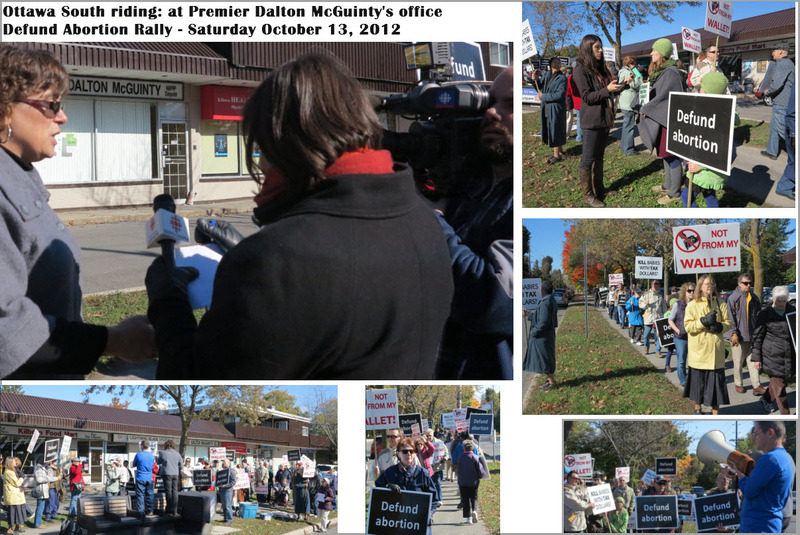 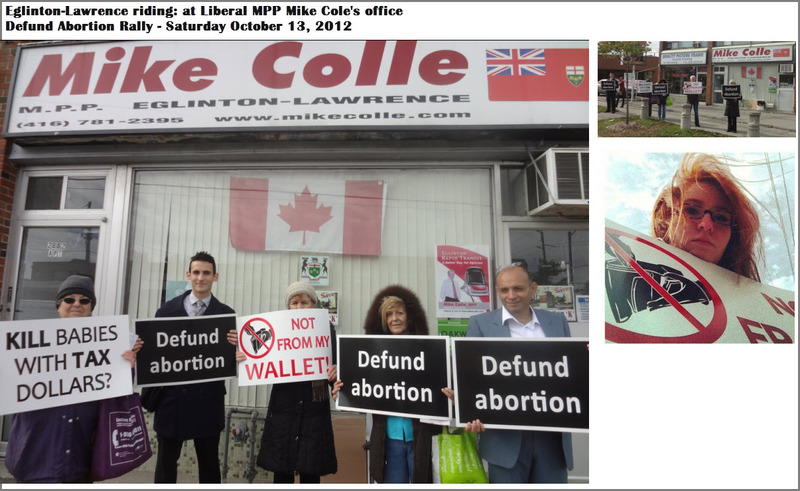 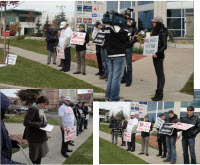 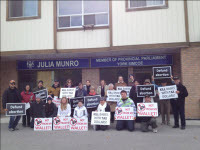 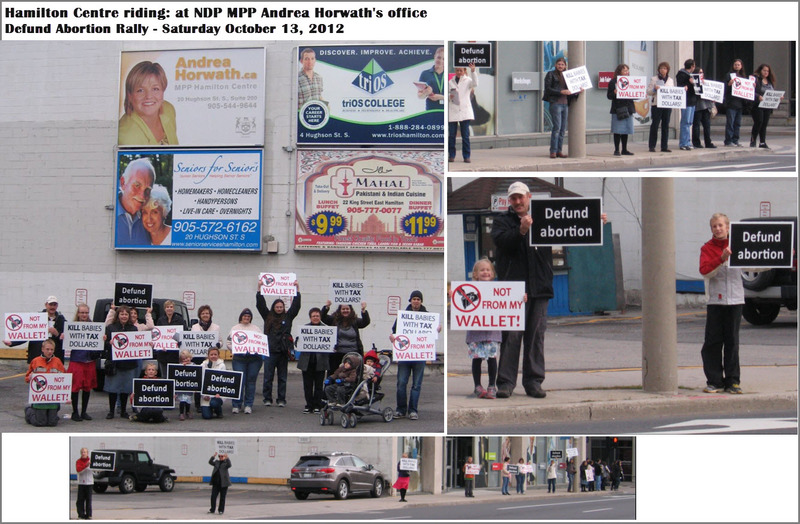 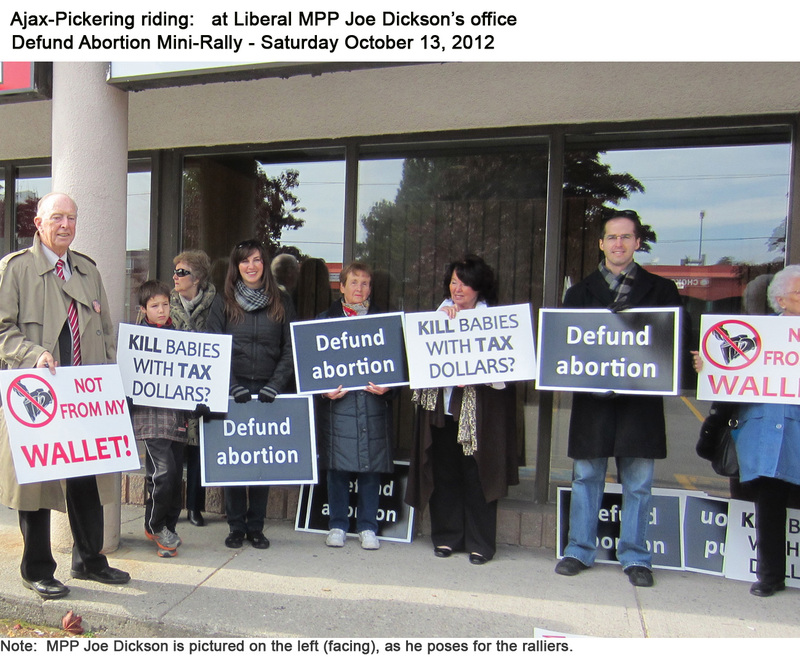 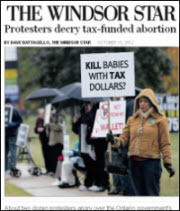 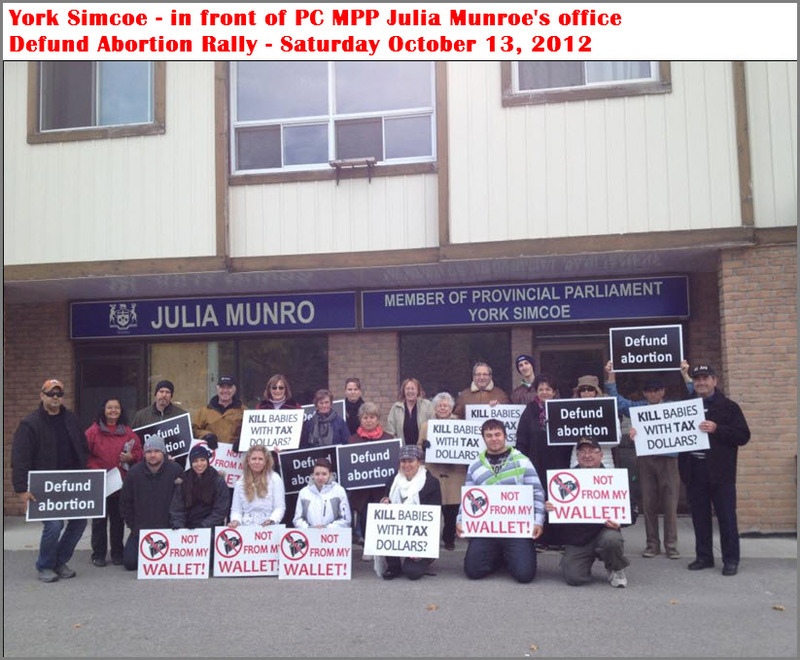 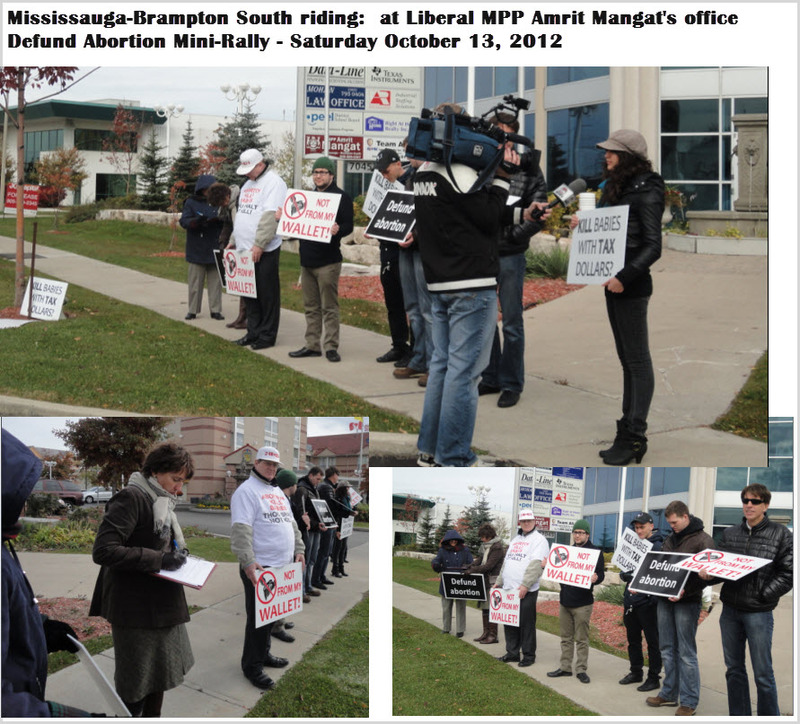 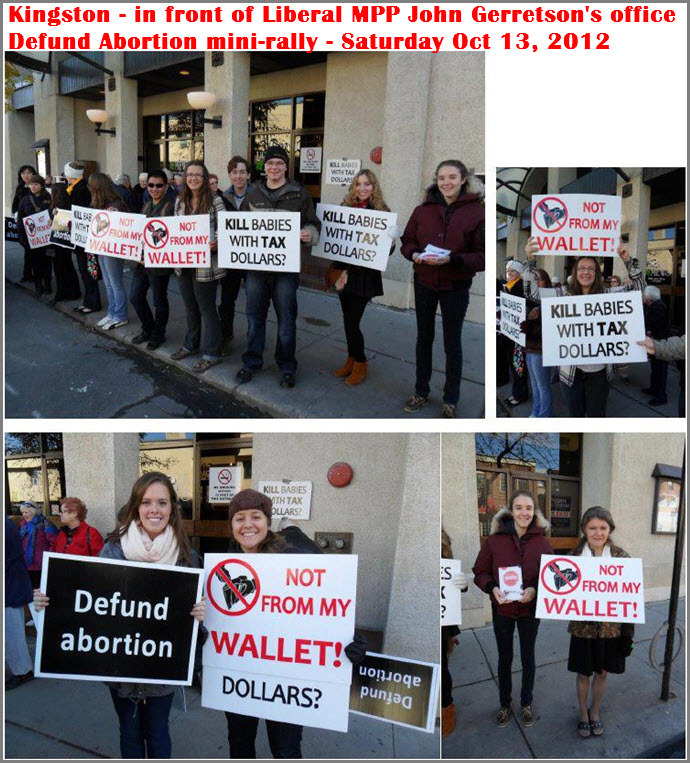 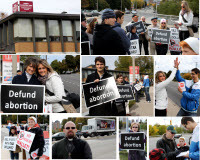 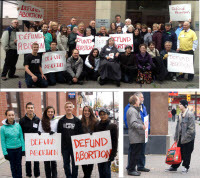 Thanks to thousands of concerned, pro-life taxpayers across Ontario, our Mini-Rally campaign was an amazing success! 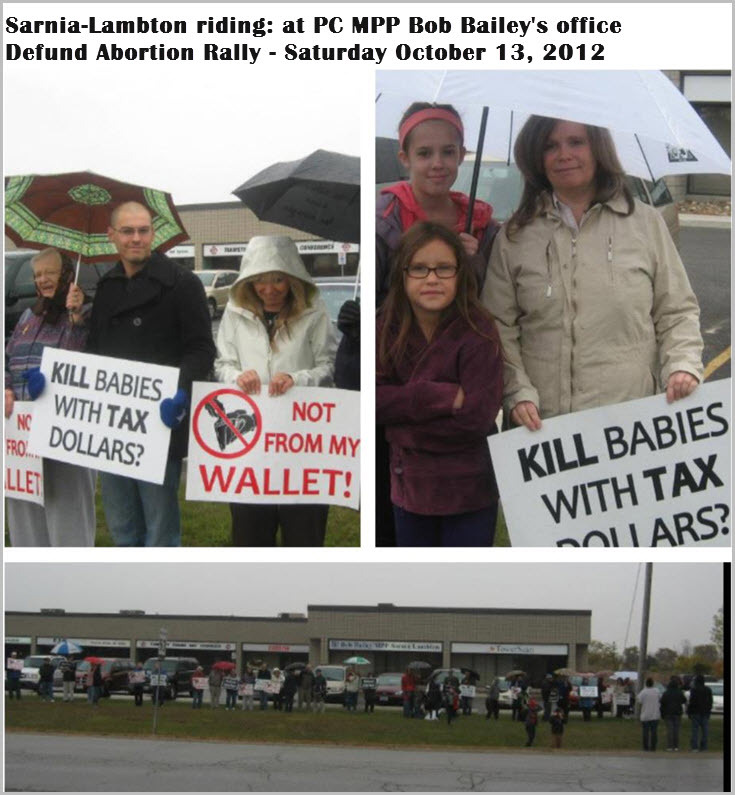 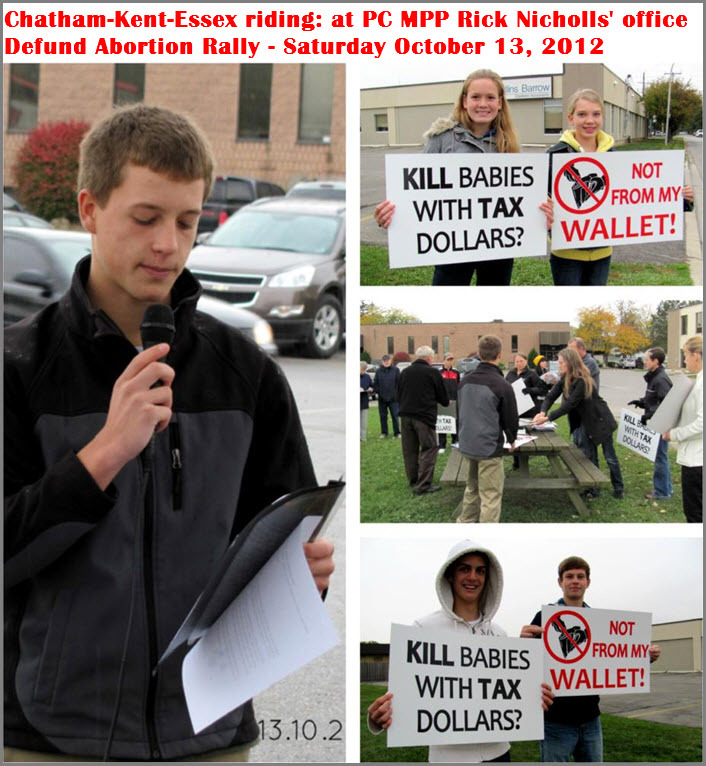 These Defund Abortion mini-rallies were held simultaneously at all 44 riding locations from 11am - 12 noon on Saturday October 13, 2012. 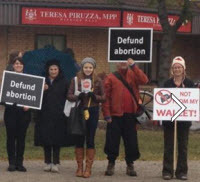 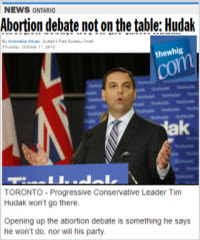 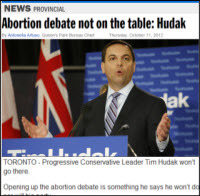 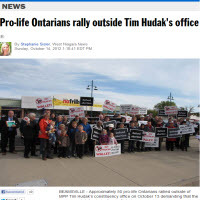 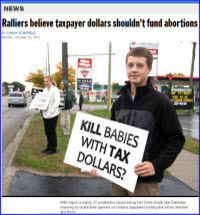 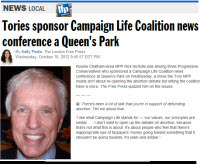 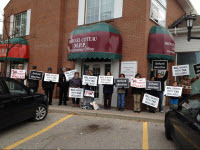 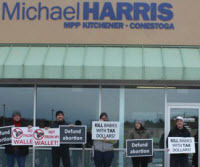 Up to 3000 pro-life taxpayers across Ontario got the Defund Abortion message out in their local communities, with maximum impact, at the constituency offices of 44 Members of Provincial Parliament spanning the 3 major parties. 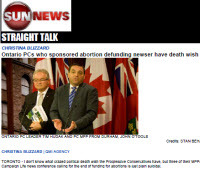 See the complete location listing here. 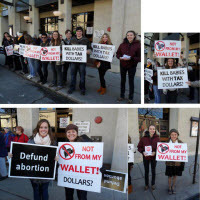 They held professionally designed signs for drivers and passersby to see, handed out brochures and asked passersby to sign our defund abortion petition. 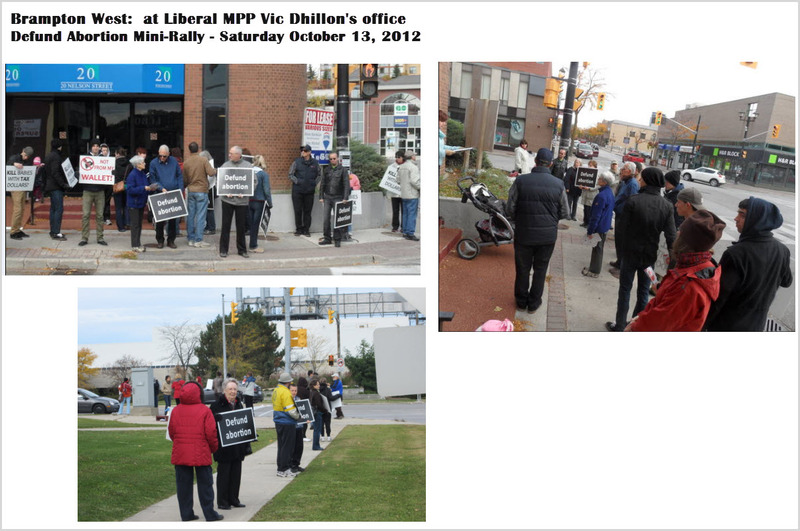 Their elected representatives were made aware of the rallies beforehand. 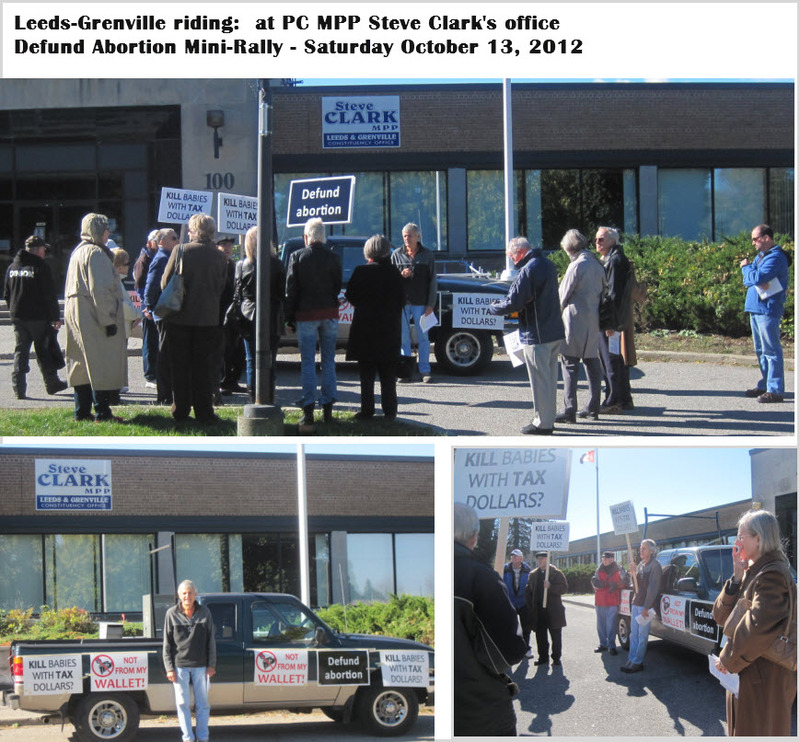 The mini-rallies received massive media coverage by local and national newspapers, TV and radio outlets. 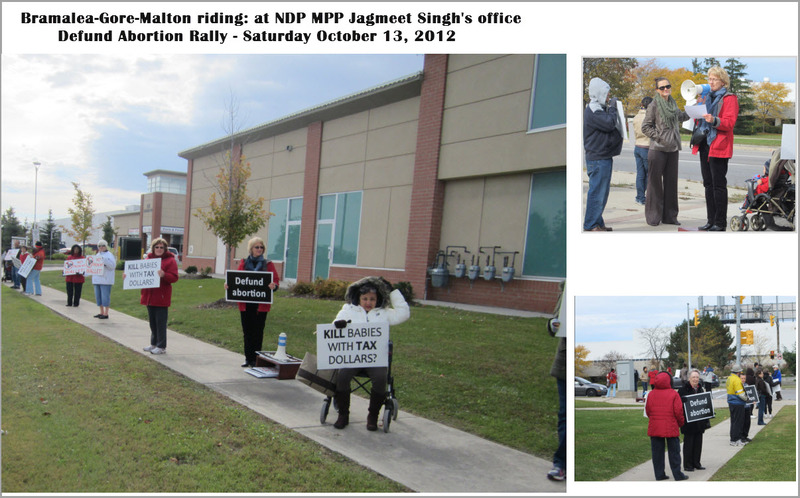 Some of this media coverage is summarized below, by riding. 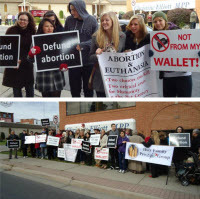 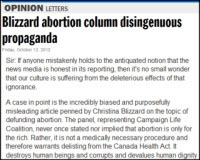 What is also wonderful is that the media coverage, for the most part, was quite positive - a marked change from the usual rough treatment of pro-lifers by the mainstream media. 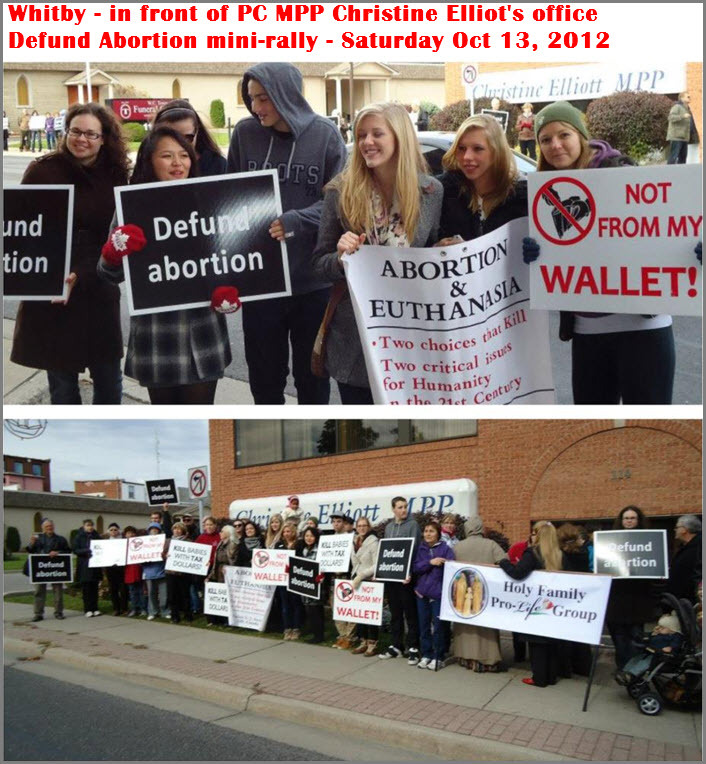 We thank all volunteers who attended, as well as pastors who promoted the Mini-Rallies in their churches. 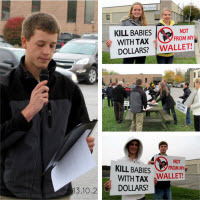 We're also grateful to our CLC Youth division, who spearheaded this initiative. 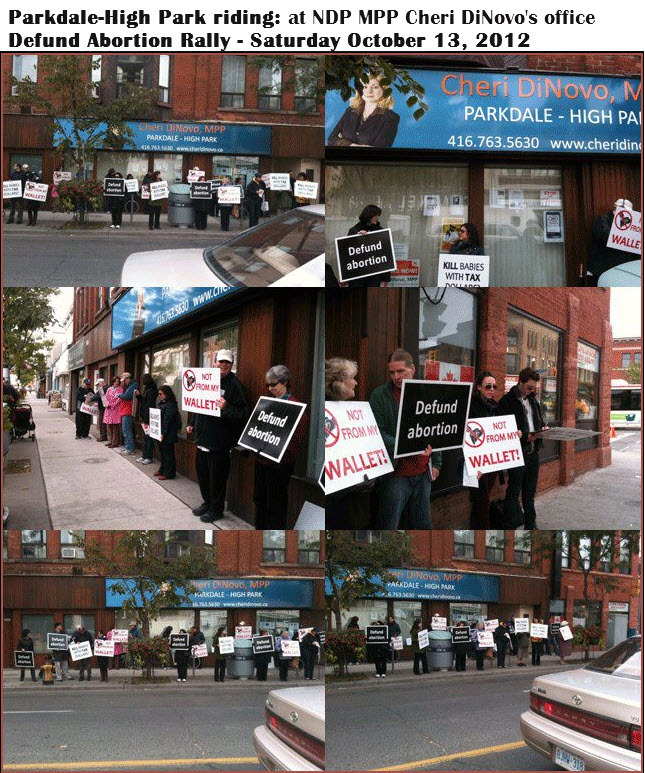 Let's keep up the pressure! 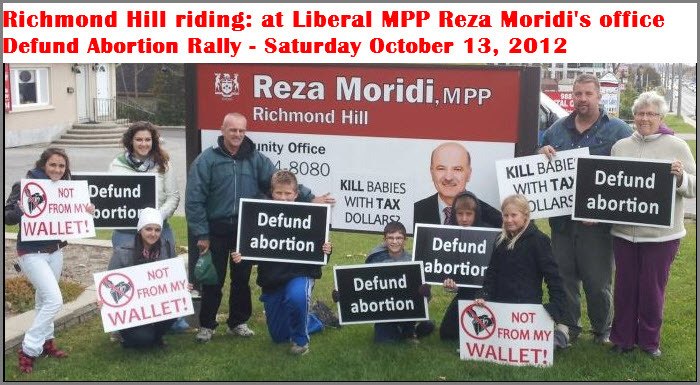 Join us for a major Defund Abortion rally at Ontario's legislature at Queens Park, Toronto, on Tuesday October 30th from 12pm - 2pm. 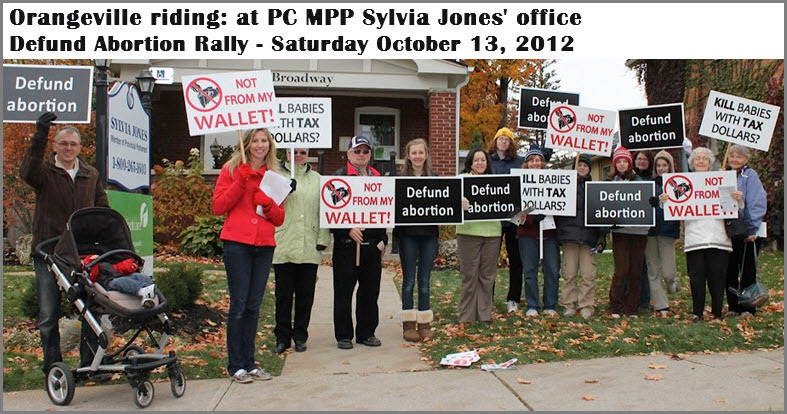 Your next challenge is to help us make this much bigger than last year's rally at Queens Park which drew 2,000 taxpayers!